Cpl. 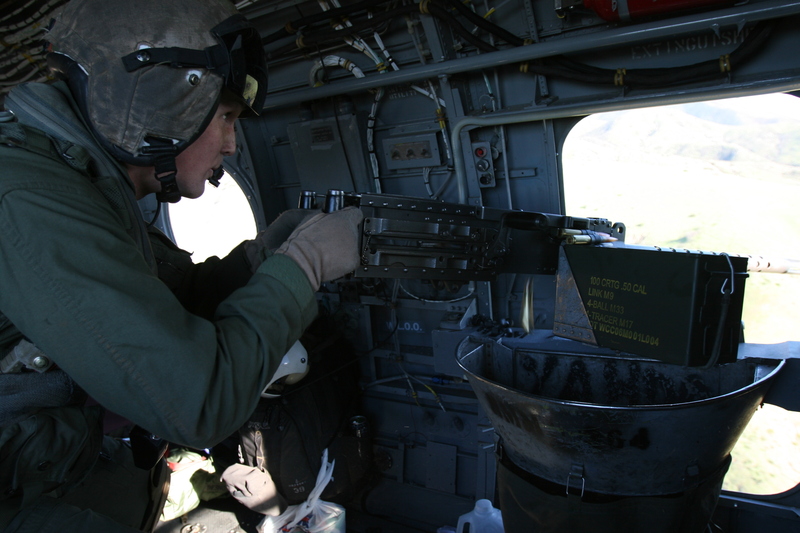 Daniel Zawiki, a crew chief with Marine Medium Helicopter Squadon 364, fires a .50-caliber automatic weapon from a window in a CH-46 Sea Knight over Marine Corps Base Camp Pendleton, Calif., Nov. 15. Two Sea Knights practiced tactical and parade flight formations before moving to a target range to pratice aerial gun shooting.